My favorite boys are hitting us with a new visual for their jam Tears from A Kiss. You guys should be very familiar with MPrynt by now because we've featured them a few times here. Recently we did a live twitter interview with these guys and learned a little more about their journey to where they are now. They've been creating a buzz on the music scene for a while now, and fans are excited to finally start getting some official releases from the Philly natives. Regarding this video TFAK is a ballad from their latest release, What if Later Never Comes. It's easily one of my favorite songs on the album. The fellas croon (as they are so good at.. my goodness) singing to their lady about how hard it is to love them .. and how they don't advise it. It's crazy because it's an all too familiar experience in relationships. 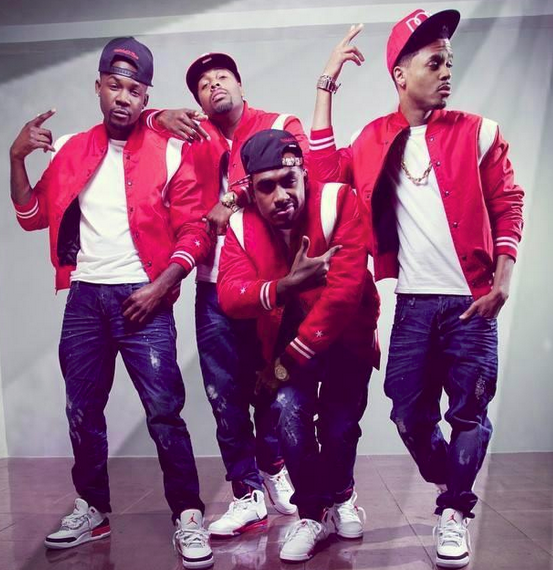 The fellas give a heartfelt performance in the video showing off their individual styles and voices. I never get tired of listening to them and they aren't hard on the eyes either! Check out their latest video- Tears From A Kiss below! What If Later Never Comes is available on iTunes now!